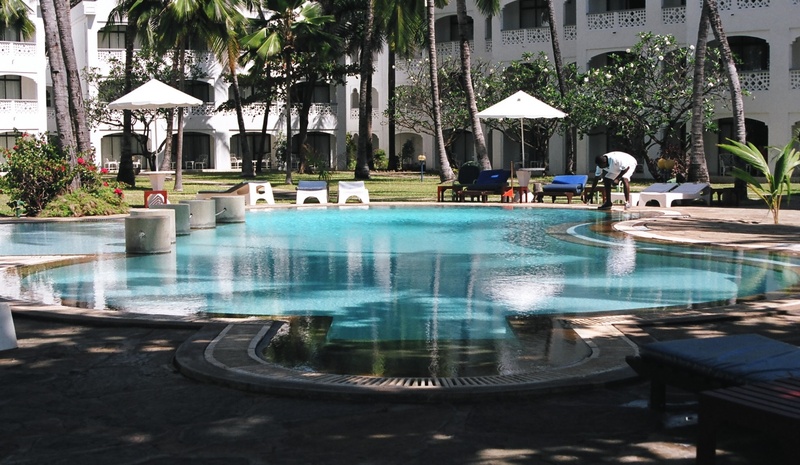 I have always enjoyed staying at the Sarova Whitesands Beach Resort ! Boasting of being amongst the favorite deluxe resorts on the East African Coast, it has the longest beach front of white sandy beaches and 338 rooms ranging from the refreshing standard rooms to the grand presidential suites. All recreational activities are tailor made for the guests. The reception has a distinct coastal feel with carved archways and murals depicting scenes from Kenya's coast. The hotel is a dedicated supporter of the Bombolulu Workshop Project. This is a project founded in 1969 by the Association of the Physically Disabled of Kenya (APDK) which train and employs physically challenged persons in handicraft production and related business skills. Within the hotel grounds is a cultural village representing four tribal communities drawn from different parts of Kenya namely, the Maasai from the South western part of Kenya, the Giriama from the Coastal region, the Bukusu from the Western Region and the Orma from the North Eastern side of Kenya. The Resort offers a great variety in food and beverage; 3 bars and 4 restaurants tempt your palate with buffet to a la carte meals. Taking you from the Pampa Churrascaria of Brazil to the Sea food haven that is Lido - Fish on the Beach. Minazi, a cafe inside the hotel, provides snacks and light meals as well as 24 hour room service. Meetings of great minds and people is also catered for in 3 various conference rooms. 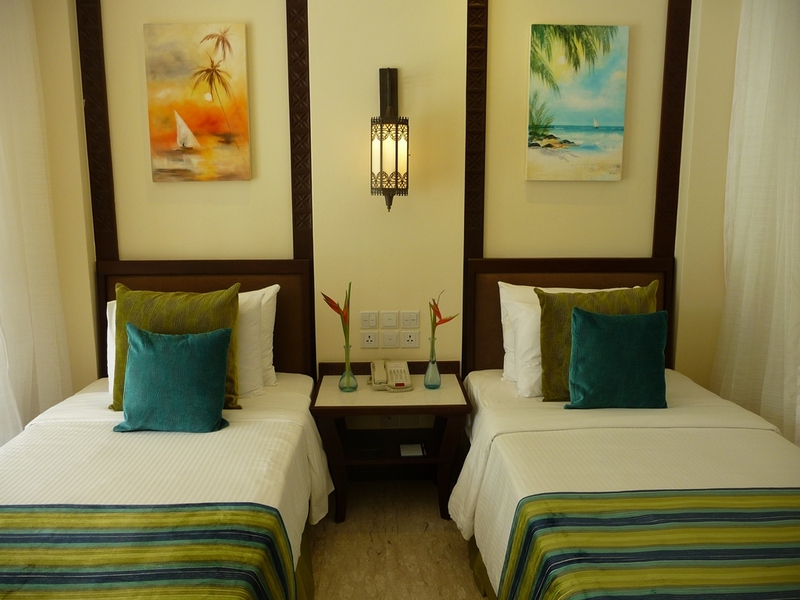 A fantastic location close enough for a day trip to Mombasa as well as a relaxing oasis with spa right by the ocean. 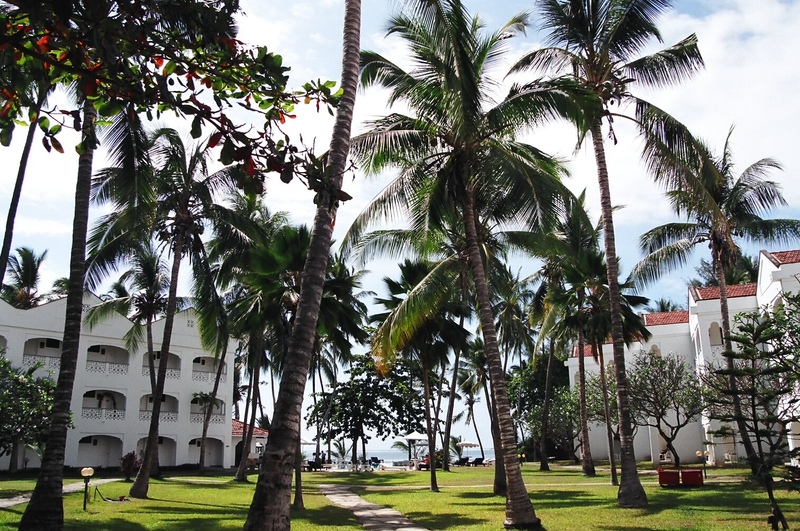 Are you interested in booking at the Sarova Whitesands Beach Resort? Click here for the best rates.